I started this around christmas 2009 and am still not very far. But slowly it's getting bigger and bigger. I'm nearly 23000 stitches in now. I'll try to post more often now that my stitching bug decided to sting me again. 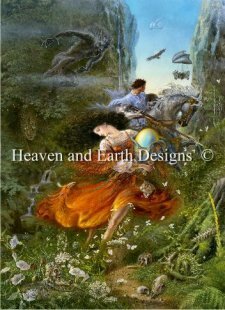 These past 15 days, I went for a walk in the forest thanks to one of my favorite artist, James Christensen. I invite you at this enchanting escape with the first character which attracted my attention. Let’s meet the Giant who stands on the left side ! 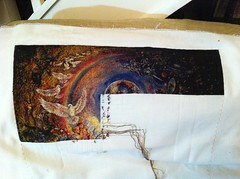 Stitched on Lugana 25 count, with two strands of threads. I wish you all a great autumn, full of joy, with fantastic moments of stitching ! 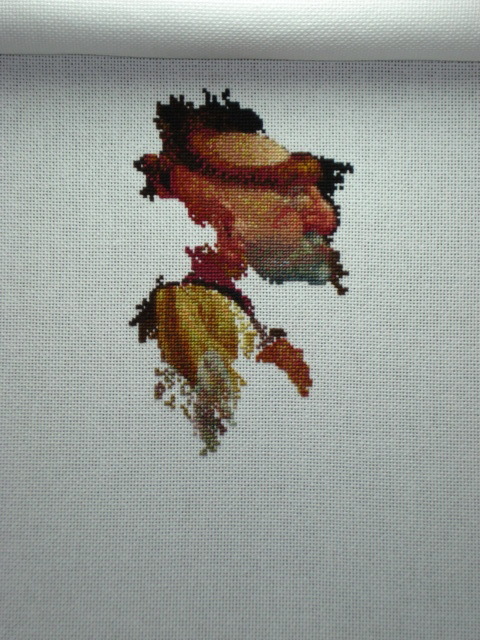 The lower half of the face is finished. 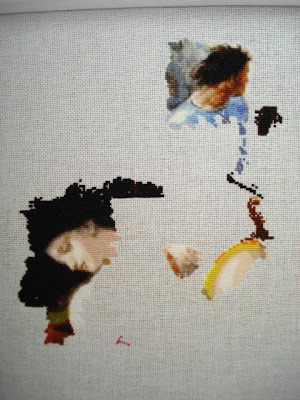 Now I begin at the rest of the nose, and I think that the eyes also appear. Now I see the picture, I think I'm take away the brown crosses in her neck.In the original, of course, is the transition to the background. But now it is not beautiful. Some stitches under her nose I go take away to. But I do so only when she is done, when I have a good overview. One more page. It's the 15th ended and it's progressing well. I try to keep up to finish quickly and be able to admire it framed. 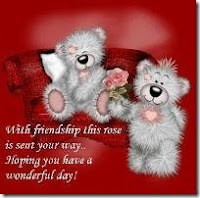 Good stitches to all of you. Here's the Page One finish on QS Waiting by Ching Chou Kuik. She's lovely to stitch and I've enjoyed every moment of stitching this page and can't wait to get back to her but I've got a Tiny Tatty Teddy Birth Sampler to stitch for a friend of my mum's (see my blog for pictures http://gizzimomosstitchyplace.blogspot.com) then it's back to Faerie Melody (providing no SAL pages come through in the meantime)! See you all soon...... hopefully! 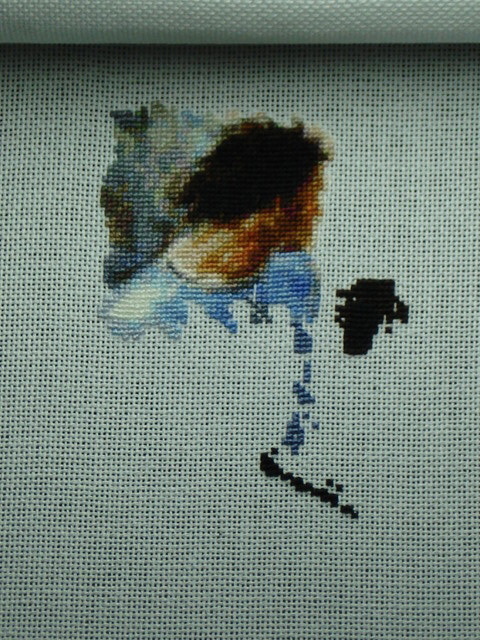 I started Lust on the 11/09/2011.I didn't get to stitch on her much since but I hope to get some more done on her this year and then next year hopefully I will start a proper rotation with her.She is stitched on 18 count aida 2 over 1 full cross stitch. Autumn is here with sunny days. Trees are already colouring and they made me long for Vibrant Vista. So this is what I've been stitching last weeks. The first picture is how it was back in February, the second is how it is now. 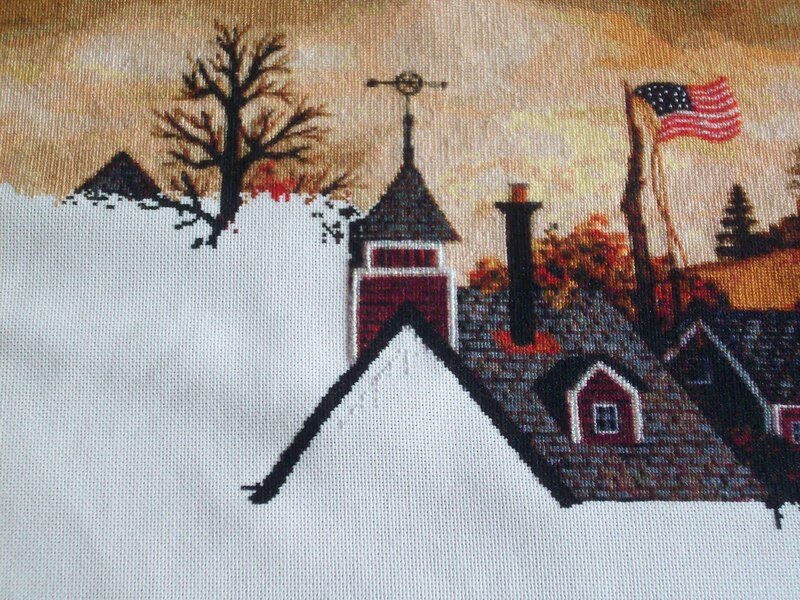 Here is an update of QS- Rochelle done 2x1 on 25ct white duplin linen. 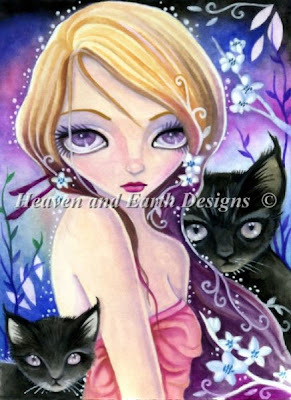 Sorry I haven't been here in awhile but just started back on Lavender Moon. I am seeing some beautiful stitching updates here. 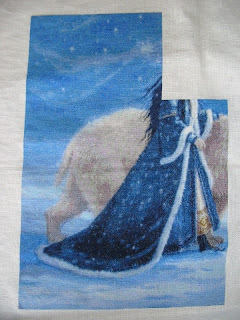 I have made a little more stitching done on this HAED and managed a total of 529 stitches. 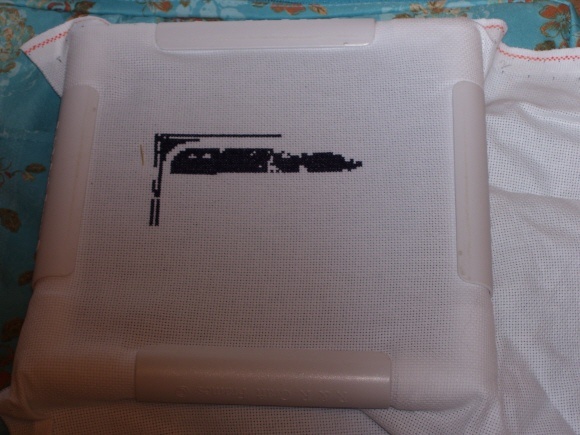 It is slow going but just trying to get used to stitching my first HAED on linen. 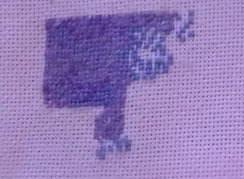 Will try to stitch more during the week. 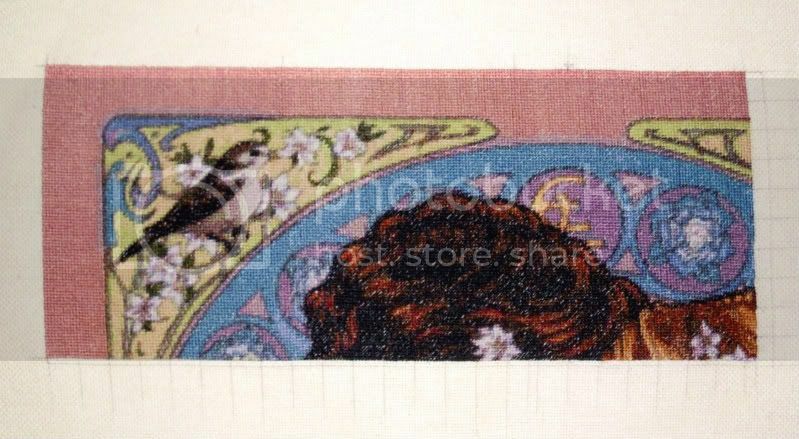 I have re-started Daisy Offerings - HAED - Sandra Kuck - on 18 Count White Charles Craft Material. Using 2 Threads over 1 Square. This is the end of Page 2 and start of Page 3. 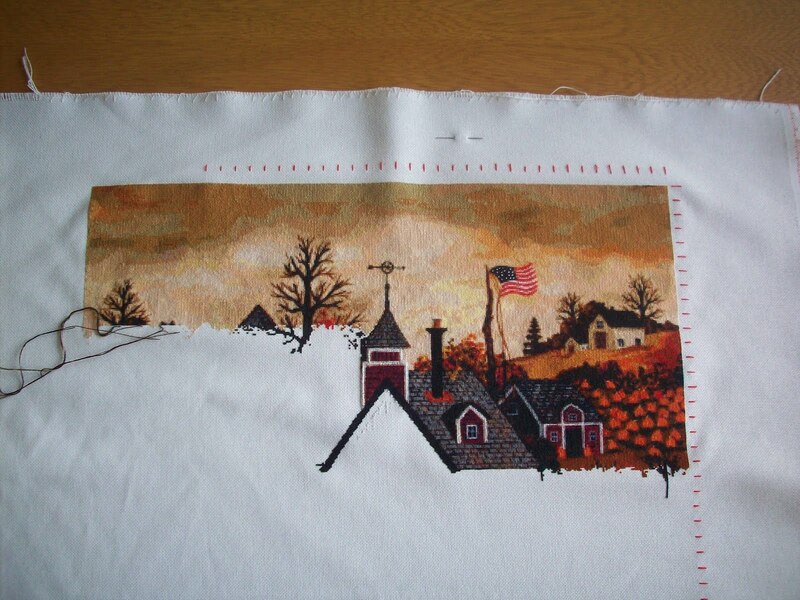 I will be stitching all of Page 2, than Page One, than go back and finish up Page 3 and than go from there. She looks so much better on 18 Count White than she does on 25 Count Potato Lugana. I love stitching her now. She is going to be beautiful when I get her all done. All the confetti starts to turn into a whole pic. 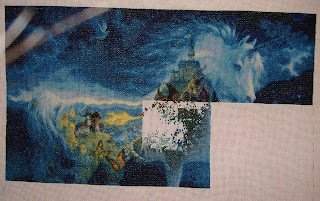 At least with the Unicorn I've started to fill in the holes. And with Gaudí the leaves have started to fill the page. 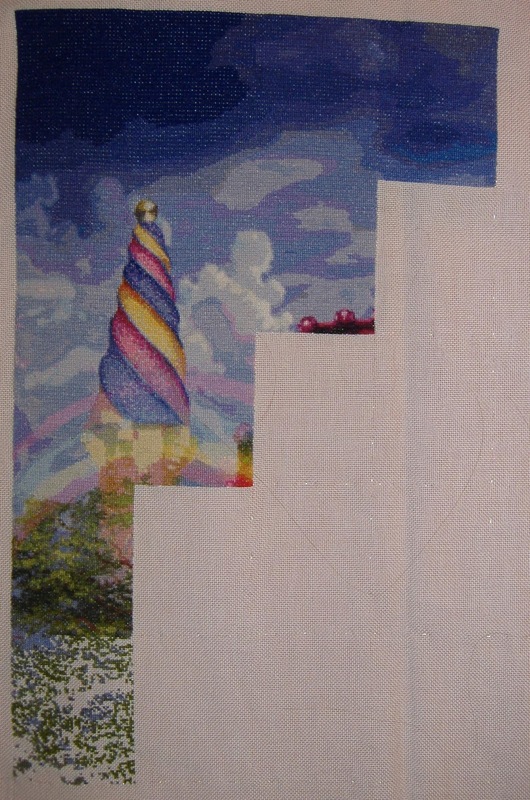 Page 8 of Faerie Melody is now done, meaning that the second downward column is all done. I think I'm around 25% done on her now. Last night I started a new HAED. It's QS Waiting by Ching Chou Kuik and I've had it kitted up for a while. 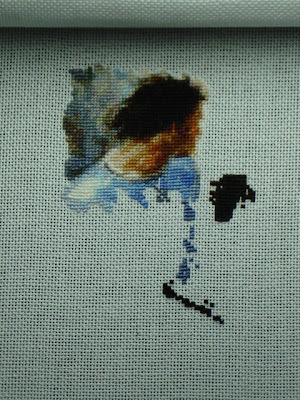 I'm stitching her on 22 count Ivory hardanger, 1 thread over 1 square. I'll do this page then go back to Faerie Melody for two pages and rotate between the two, stitching the SAL pages as and when they come in in-between I think.... should be fun!!!! The 14th page is finished so I show you what happens. The bear takes shape more and more. It's a very nice model to stitch ! Its been ages since I have worked on any of my HAED's, So I thought it was high time I did, Also I have to have it finished by Early December. So not to bad for nearly a weeks work, I'm thinking I should have her done in about 4 weeks or so...........but no promises! I'm back stitching on Faerie Melody and here is page 7 all done! As you can see I've found the second hummingbird although he doesn't stand out as much as the other one which is a shame. I've been totally enjoying having her back out and stitching on her again and am determined to stick with her for the near future. There's one more half page on this column then it's onto the third column where I should start to get her wings..... hopefully! Sorry the progress so far shot isn't too good but to get her all in the photo I have to loosen her on the frame and then the frame won't allow her to sit flat so it's the best I can do without taking her off the frame and I AM NOT doing that! LOL! I finished page 8 of Millennium tree last night! Here it is: Stitched on 20 ct 2 over 1. 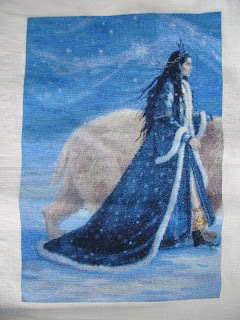 I am a big fan of Kinuko Craft’s artwork, and that’s why several of my WIPs are from this outstanding artist. One of them is Firebird, which is a special and marvelous journey for me. 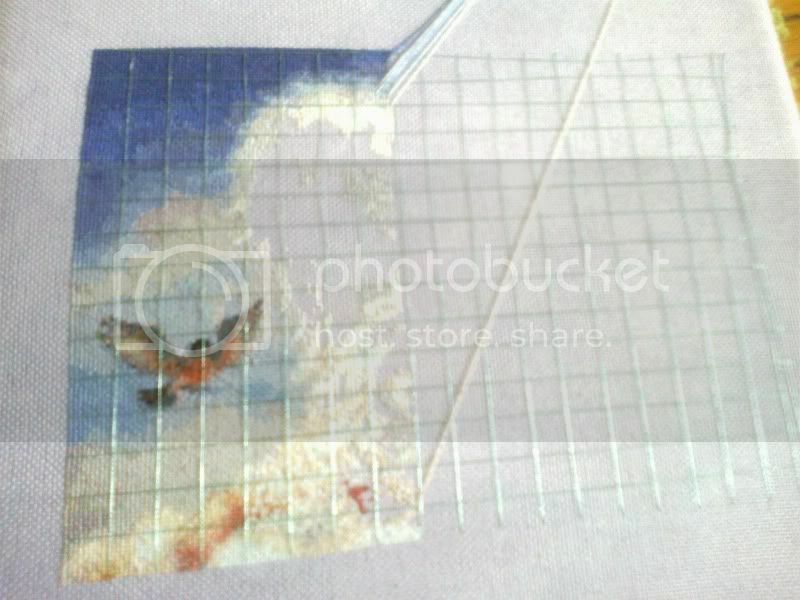 Imagine that my needle is a little firefly who began to illuminate some parts of the painting. So, I followed the light which showed me first the rider. Next came the corner of the egg, and then, the woman’s shoulder. Finally, my needle brought the lady’s face to light. 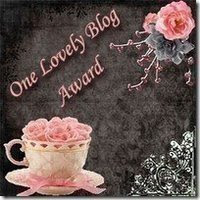 In fact, today I am working on another of my WIPs, but this story is for a next post...! 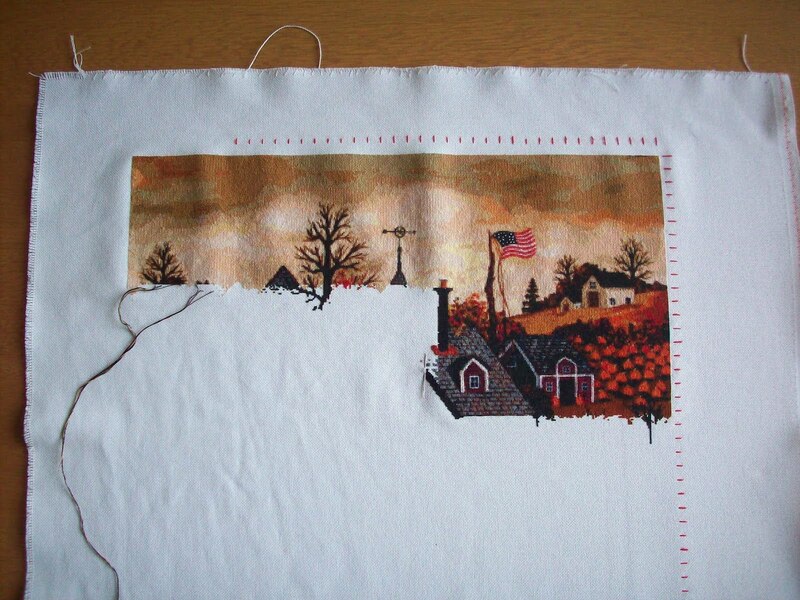 Happy stitching to all !! Now that we have moved to a new house, I am able to keep Magnificent Wings in 'stitching position' ;) and so I am making much more progress on her. 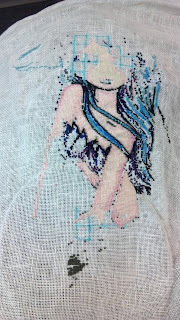 I really like stitching her at the moment. Not so much confetti and the black on black is not so bad once you get used to it. Page one is completed and now I am working on page 2 and 3. Page 3 is a little page and other than a ton of DMC 3865, it's almost completed. 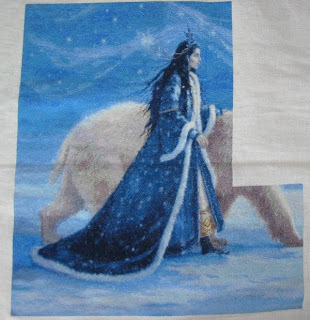 I will be pulling this out again on the 26th to coincide with the SAL over at the Love 4 Stitch A Longs forum. I really hope to finish both pages during that SAL. Here is the 13th page, the smallest of the column. 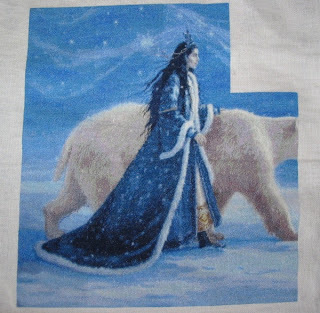 In the next page, we'll see the front paw of the bear. This is starting to take shape, it's cool. 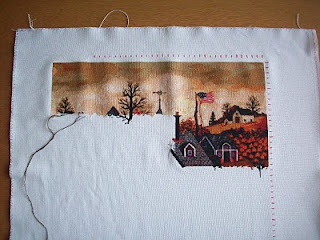 The next page is larger, so it will take me a little more time to stitch. I looked at all the updates. Its tremendous what everybody has reached. So, after all the fatigues of the holiday, I started stitching again. I have now begun at the fun part of The Rose. Her neck and face. This morning I still spent time in the garden. What a mess it was there. After the rain and the storms. The grass was too long. And many flowers aborted. It's a little neat now. works out. Apologies if it turns out wonky! I've finally finished a third page of "College of Magical Knowledge!" It's stitched on 25-count Evenweave 1 over 1. 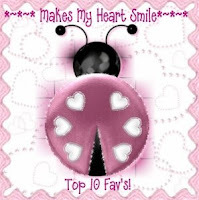 Thanks for looking and happy stitching, everyone! Here's the Page 2 finish on SK Phuan so he's now up to date with the pages I have, until the next page comes out..... whenever that is! He has a whole head, some body now and is looking fabbie!! Here is the result of my Snow Princess wich the 12th page is complete. Quite a bit already. I'm more and more anxious to see it finished. See you soon for a new update. 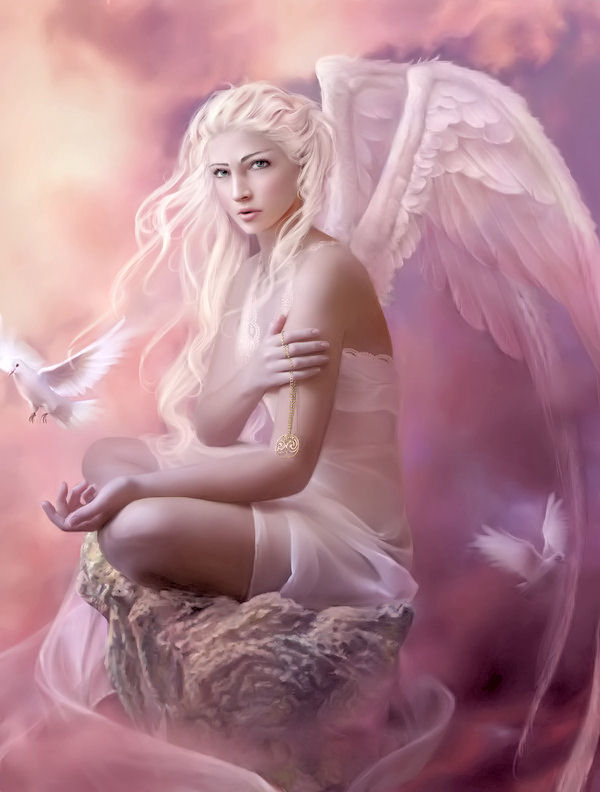 Hi, I'm new on this blog; I thank you for welcoming me. My name is Florence, I'm 43, living in Paris, and mother of three girls. 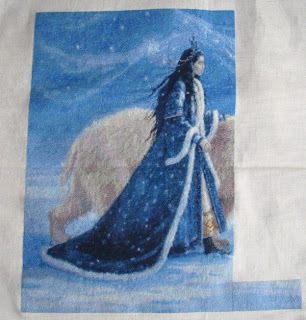 I'm stitching Ruth Sanderson "Snow Princess and the Polar Bear". 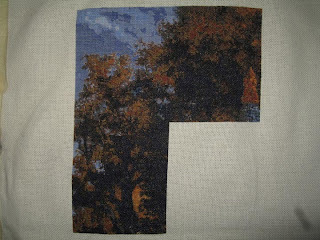 I stitch it on linen evenweave 32 ct. I already stitch 12 pages. It's a very nice model to stitch. See you soon for the next step forward. Hi All, Here is Faery Tales done on 18ct white aida. I have almost finished page 24 so only another 16 to go after that.